What would we do without music in our lives? Due to its popularity, nobody should be surprised about the fact that music is one of the most commented topics on the Internet. 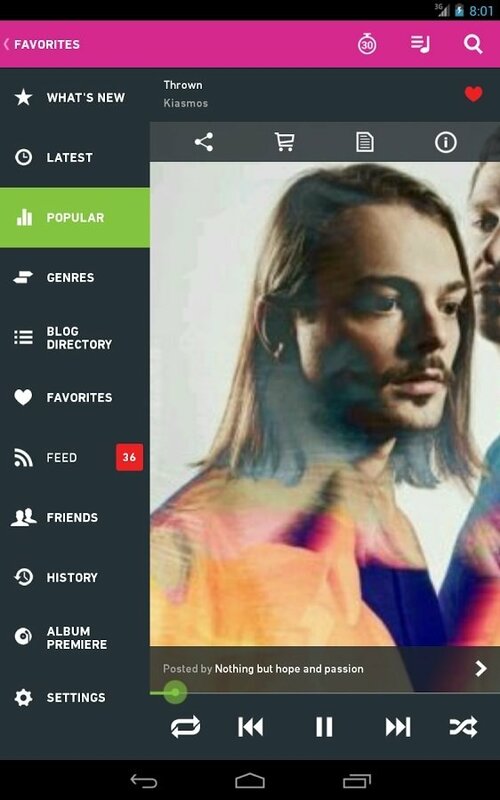 There are hundreds of music blogs, and now thanks to Hype Machine you can read them all from the same app. Posts from over 800 of the most interesting music blogs. We're talking about the official app of an interesting service that has been discovering and introducing new music, artists and blogs to the community of music fans for the last 10 years. Latest: the music that's being talked about right now. 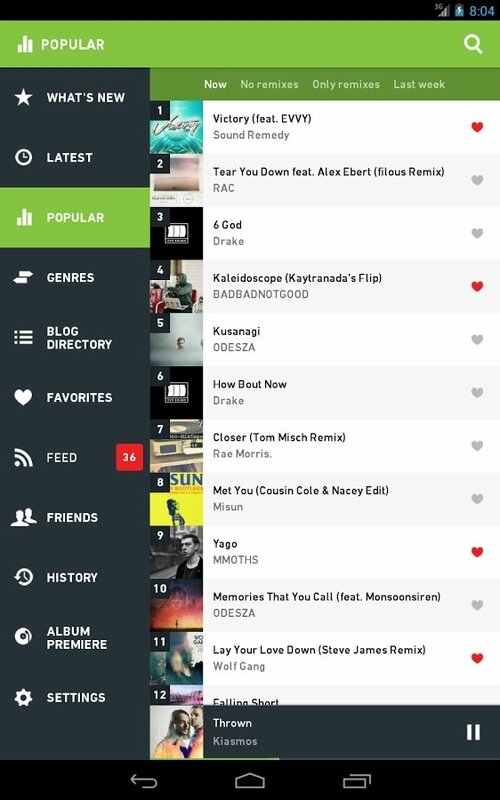 Popular: the tracks that people are liking the most in the app. 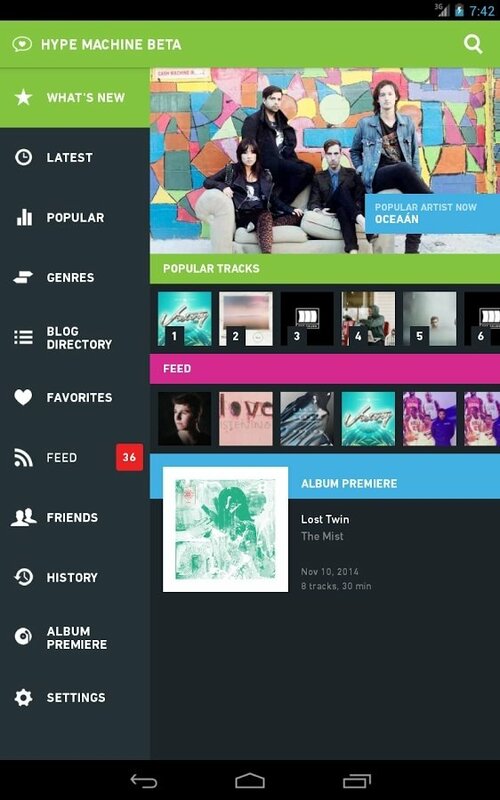 Favorites: your favorite songs in the application. Feed: new publications from your favorite blogs. Friends: the music your friends are listing to right now. Genres: new music published on different blogs sorted by genres. 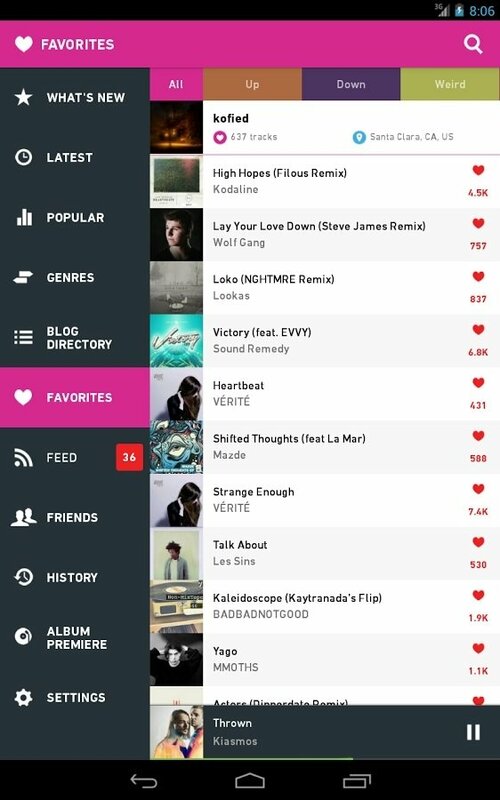 Blog directory: all the blogs followed on Hype Machine. Furthermore, the users of this application will have the possibility to listen to a premiere of an album every week before its official launch. Now you know, don't hesitate to get hold of his program.